The textbooks below are peer-reviewed and produced by OpenStax. They also accompany instructor resources such as PowerPoint slides, sample syllabus, test banks, etc. This text is an atoms-first adaptation of OpenStax Chemistry 2e. The intention of “atoms-first” involves a few basic principles: first, it introduces atomic and molecular structure much earlier than the traditional approach, and it threads these themes through subsequent chapters. 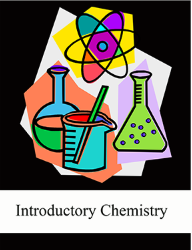 This approach may be chosen as a way to delay the introduction of material such as stoichiometry that students traditionally find abstract and difficult, thereby allowing students time to acclimate their study skills to chemistry. Additionally, it gives students a basis for understanding the application of quantitative principles to the chemistry that underlies the entire course. It also aims to center the study of chemistry on the atomic foundation that many will expand upon in a later course covering organic chemistry, easing that transition when the time arrives. 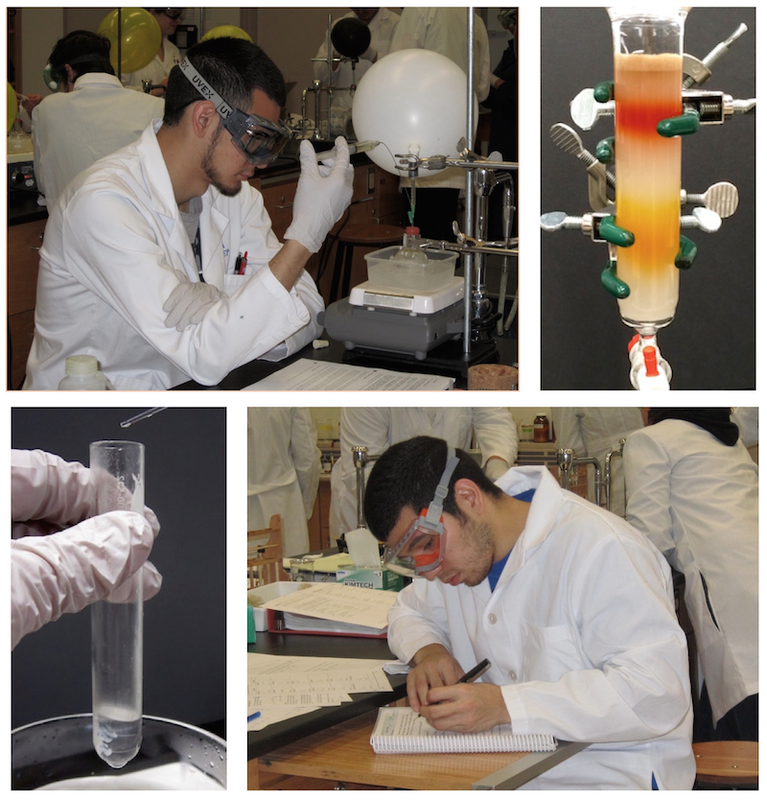 In this resource you will find theory and procedures on the main organic lab techniques (chromatography, crystallization, extraction, distillation) as well as general concepts on how to set up and heat apparatuses (see the Table of Contents tab for a more complete listing of topics). All procedures are accompanied by step-by-step pictures, and graphics are heavily utilized throughout the resource. NOTE: the resource above is not technically an Open Educational Resource. Its license does not allow for remixes, adaptations, translations, or any kind of derivative work. You are free to keep and distribute copies to your students, as long as it is not intended for commercial use. 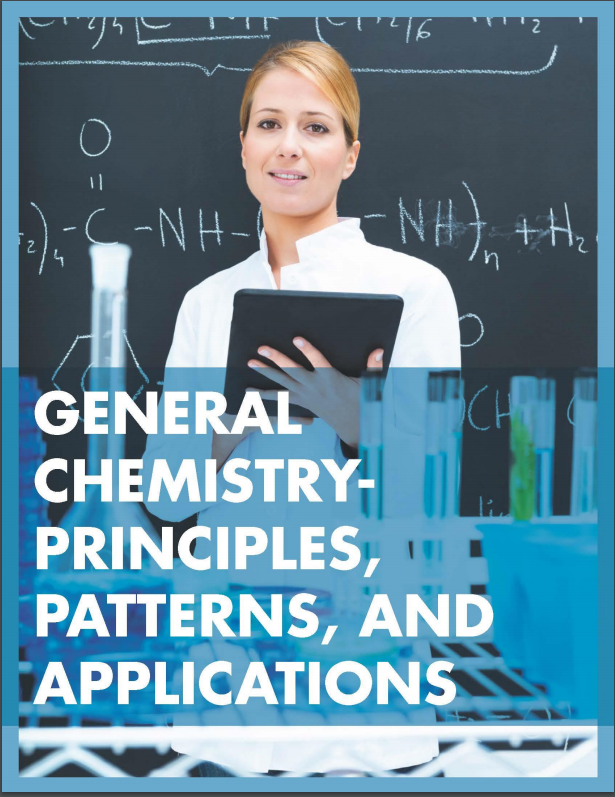 The Basics of General, Organic, and Biological Chemistry by David W. Ball, John W. Hill, and Rhonda J. Scott is for the one-semester General, Organic and Biological Chemistry course. The authors designed this textbook from the ground up to meet the needs of a one-semester course. It is 20 chapters in length and approximately 350-400 pages; just the right breadth and depth for instructors to teach and students to grasp. 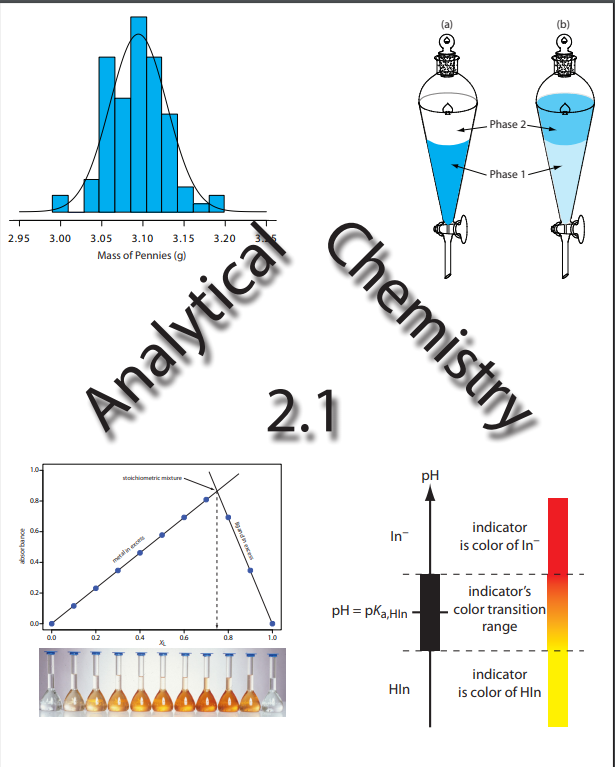 As currently taught in the United States, introductory courses in analytical chemistry emphasize quantitative (and sometimes qualitative) methods of analysis along with a heavy dose of equilibrium chemistry. Analytical chemistry, however, is much more than a collection of analytical methods and an understanding of equilibrium chemistry; it is an approach to solving chemical problems. Although equilibrium chemistry and analytical methods are important, their coverage should not come at the expense of other equally important topics.